When we think of superheroes and the media tied with them, we instantly associate it with balls-out action that ultimately, thrills audiences. 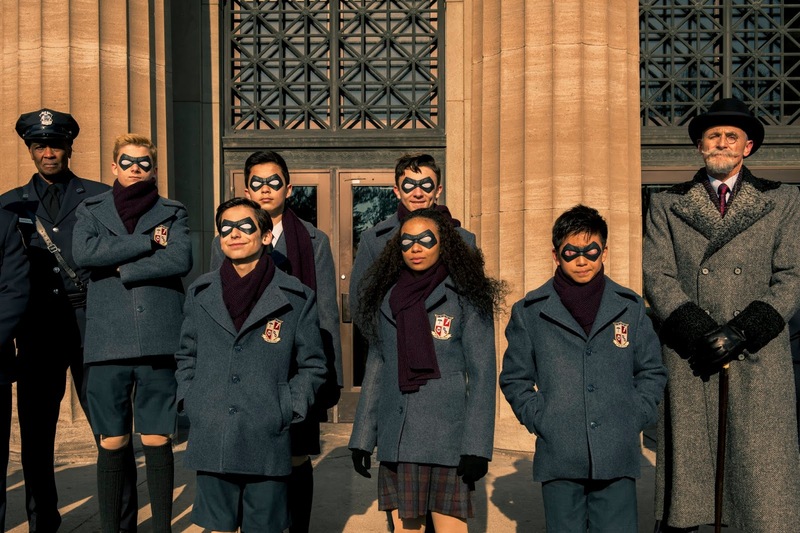 "The Umbrella Academy" highly-deviates from this well-worn trope and decides to make a superhero series that is closer to a family drama. Overall, it worked as it was able to provide a tangible look into the human side of these gifted beings. While the results are more than satisying, it may alienate audiences who expect literally more "bang" for their buck. On the same day in 1989, babies were born to random women who showed no signs of pregnancy. Seven of these babies across the globe were adopted by Sir Reginald Hargreeves, a billionaire industrialist, who believes these babies have special powers and creates The Umbrella Academy to prepare his "children" to become humanity's heroes. But not everything went according to plan as the family fractured and the team eventually disbanded. In the present, the siblings are forced to reunite upon the news of their father's passing. But the circumstances of his death make the siblings think that there is more than meets the eye and soon realize that their forced reunion might be the only thing that can prevent the world's apocalypse in a few days. Expect the unexpected when watching "The Umbrella Academy". It's quirkiness alone had us hooked - a talking ape, a robotic mom, and a lot more weirdness - and brought a lot of charm for the show. Admittedly, we are not readers of the comic book series so all of it was new to us. At its worst, it could have been a waste of time but the end result was actually quite satisfying. 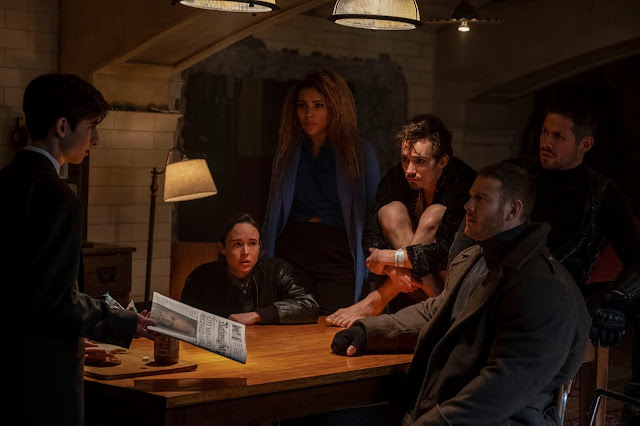 "The Umbrella Academy" works because of the Hargreeves siblings and the actors that play them. The ten episodes were steadily interesting but unremarkable. If we could choose stand-outs, it would be Ellen Page as the super-ordinary Vanya Hargreeves and Aidan Gallagher as Number Five. The former provided a vulnerability and depth that brought much-needed emotion into the show. Page's performance was so relatable that even her darker vibes midway was understandable on some level. Aidan Gallagher, on the other hand, was believable as a 50-year-old trapped inside a 15-year-old's body. His unfiltered wit and dry humor brought a lot of entertainment the whole way through. Another element that works was its camera work that reminded us of Wes Anderson films which further amplified the quirky charm. The biggest issue for the show was its story which could have used more work and trimming down. Its slow paced and yet unfocused. Subplots were haphazardly placed, under-developed, or completely forgotten and unresolved and some key characters were ultimately short-changed. Overall, "The Umbrella Academy" is an unpolished gem. It works and yet needs more work to overcome its shortcomings. Ultimately, we cannot wait to find out what happens next season, and that should say a lot about the show's first season run.